Bike and Lamboo’s Curse: When Baby got bike, Uncle and I was sure that it is not like Baby got a bike but it more like 'Baby got a bike to maintain and Lamboo got the bike to ride'. It was very much true until Lamboo got his own bike. So it was very surprising that whenever Lamboo asked for bike – no matter Baby gave him or not – something wrong had to happen with the bike. If he would give the bike to Lamboo, Lamboo would accidentally accident it, and if he would not he would find a shock absorber malfunction, tire burst or a warning note by Prof. Sinha to take care of his bike. Baby’s Gate Score: It was shiny golden star stamped beautifully printed on nice paper which was holding your photo saying this guy had cleared gate and was eligible for scholarship. A paper which you wouldn’t like fold (yep, it was better in quality and more authentic in appearance than fake looking original IIT Kgp’s Bachelor degree.). We surrounded the postman when he came with gate score card, Baby was able to find his first. We started pressing him to show how it was. We never knew his folded psychology, seeing us wishing to see his card he folded it cruelly (the star must have wept!) forced push it inside the tight jeans pocket and ran to his room locked it from inside. What was the thing he was trying so hard to hide! Uncle’s face expression was one of most watchable feature when someone asks regarding the fellowship. I can quote three-four varying answers (varying in sense) which uncle used to give depending on person and amount of knowledge that person had about Uncle’s case. 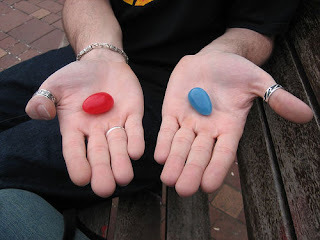 * Blue Pill - Red Pill: Neo's Dilemma from The Matrix movie. Represents 'Uncle's Dilemma' theme for the post. Summer end, end of June. It was quite hot out. T came to Baby’s room to take them (Uncle and Baby) with him for lunch. Out of the blue, discussion about Bengali vs. non-Bengali started. (We start it almost every time when we find someone who can easily be irritated by the sensitivity of the topic. Bad we!) Discussion quickly took a form of serious altercation and soon it became more like a one on one challenge game. Uncle pulled his lower down even before T could finish his words. Now, it was T’s turn, who was sensible enough to shout back and left the room. He pushed Uncle out of the room, cleaned the room (Although they did not make anything dirty, it was Baby’s own feeling of insanitation). He put some scented stick, sprinkled holy water (Ganga Jal), asked for pardon from the gods and took a bath. This incident gave Uncle a way to maul T whenever and wherever he used to see him. He enjoyed this for a long time. Actually the headline should be Baby and Bike, Uncle and Bike and Baby and Uncle. 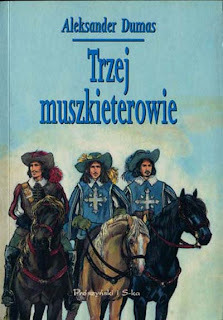 Anyway, here the story. Baby (who did not have a girlfriend) got a bike so that whenever we miss Chhedi's, we can reach there in no time and effort (We did not go to the classes, anyway). But the big, twisted Q was: Baby did not know how to ride a bike. WTF!? Who was going to take this life threatening job to teach him? Uncle took the lead and within a couple of days, Baby was able to ride his bike with hiccups and few weeks later, smoothly. Now, Baby started picking Uncle on his riding skills. He used to mimic Uncle. He used to make a posture as if he was riding bike and then shakes his hands (which were supposed to gripping bike’s handle) vigorously with his eyes wide open and concentrating as if riding at 120 miles/hour while (he shouts) actual speed was 20 kmph. And the second point (I support it) that Baby used to make was that whenever a road turn comes, Uncle becomes queasy. Even if the bike inclines just 3 degrees from the vertical, Uncle grips the driver as tight as if he is going to plunge the flesh out of the rider’s body. He tries to push the driver in a way to make him vertical again. Labels: 18+ Only, Bridget Jones's Diary, Fun, IIT Kharagpur, Personal, Real Story Based, Why do I like it? This story is divided into parts. This is part 1. June started with Nema leaving the institute, and thus ending the list of closest friends that I have ever had in the campus. It was bizarre to realize that most of the closest friends of mine were in four year courses. I calculated how much aloof am I going to feel in next 10 months. Pretty Aloof – I thought. Someone: (being skeptical) How come these SN girls are so ‘white’? I: That is because they eat a lot of Safedi (Whitener / White substance). That is all what he can remember of me! Then the other guy: Lamboo. Lamboo was the least preferred acquaintance that I would ever like to have. Causes are many but one of best is perhaps his unique art to take you into trust and betray you. I really admire this skill. But this kind of skill you really like in yourself, not in your friends. On top of that, he was a kleptomaniac. I did not want to loose my music system. And finally, this really friendly guy: Baby. Baby was way too friendly that he almost always becomes dependent on his friends. And they obviously exploit this nature to the extent they can. It was unappealing to befriend the three. So I started my initiative of making friends elsewhere. I started making my places in already developed friend circles (these circles are like cult. Secluded with each other. A circle member talk within their circle. But I was an intruder anyway, so I select when to go to which circle). I was much involved with RP-CTW, Vixy’s Maggu group, Shubhang Band Party and Maths and compu junta. But unlike any other, I enjoyed the new relationships with Uncle and Baby. I really miss each single moment with them – with all the stupidity and ups and downs. Here I would like to share a few of them. These stories may contain sprinkle of foul language, but believe me, the description is dead without all those adjectives. I apologize in advance, if I happen to make anyone feel bad. It is not one of my intentions. All the characters are real. This story would run in parts here are the bullets I have decided to write on. Labels: 18+ Only, Bridget Jones's Diary, Documentary, drama, Fun, IIT Kharagpur, Personal, Real Story Based, Why do I like it?